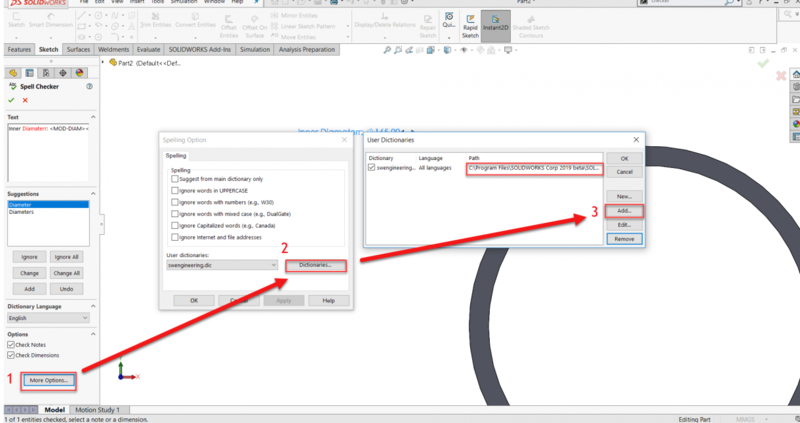 SOLIDWORKS can check the spelling of the words in your document notes, dimension text, and drawing title block using a central dictionary. The Spell Checker is available with Microsoft Word 2000 or later. 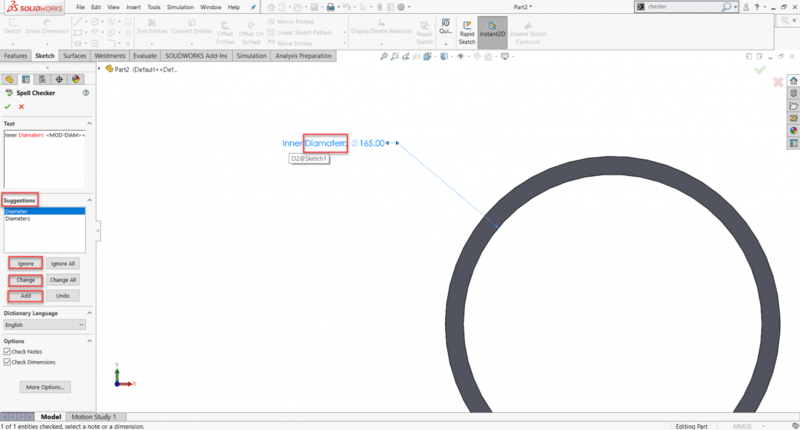 If a wrong spelling is found using the Spell Checker tool, you can replace the word using entries from Microsoft Word dictionary and SOLIDWORKS dictionary (swengineering.dic). The Spell Checker highlights the misspelled words and offers some alternative suggestions for these words. You can Ignore the misspelled words, Change them to the new suggested words, or Add them to swengineering.dic user dictionary. You can also specify a different central library location by clicking on More Options > Dictionaries > Add a new dictionary. If you want to check for spelling in a sheet format, you need to be in Edit Sheet Format mode by right-clicking the drawing sheet and click Edit Sheet Format. Also the Spell Checker does not check for words in a table, and is only available in English.